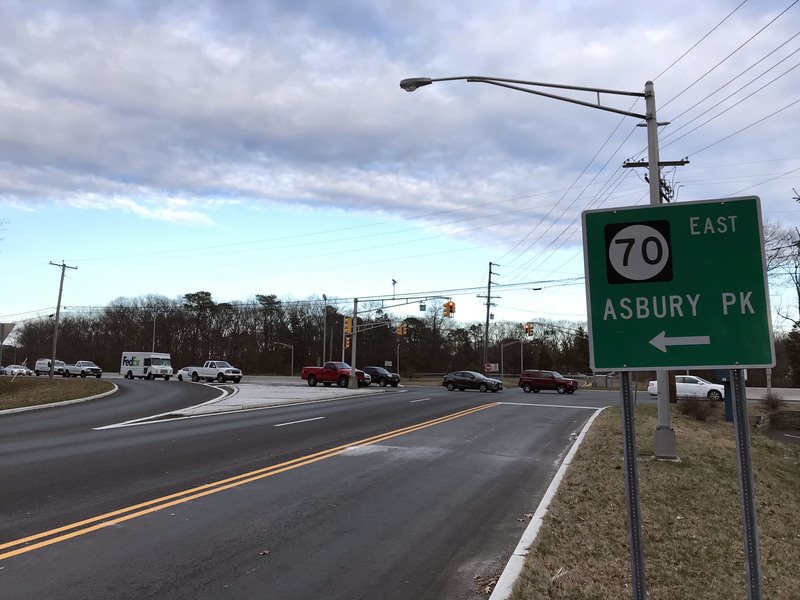 A Brick intersection that has been a source of annoyance for drivers for years is one step closer to being fixed – the state acknowledges there’s a problem – but no timeline has been set for a new turn signal system at Route 70 and Olden Street. The intersection, roughly located between the township’s Home Depot store and the Brick Diner, has no dedicated turn signal lights. That means drivers on both sides of the highway often get stuck in traffic. Those using the jug handle on one side often find it hard to make a left turn with too much right-turn traffic, and the opposite problem occurs on the other side. “A new traffic signal design is complete, however to install a new crosswalk to meet current standards, they have to remove the existing traffic signals from the center medians,” said Mayor John Ducey. The state is responsible for the lights at the intersection because of the state highway – Route 70 – that is involved. Ducey said the crosswalk issue has turned a simple left-turn arrow addition into one that includes more complicated changes, delaying the schedule to improve the lights. The township recently received an e-mail from the state Department of Transportation outlining the new design, but there was no indication construction would begin in the near future.